Water her, and she will bloom! It's easy to feel a little sad for An Oa... with an elder and oh, so accomplished sibling like Uigeadail it seems inevitable that it'll be destined to comparison, rather than considered on its own merit. And yes, had I only £50 to spend, I'd certainly go for the Uigeadail. Now, that said... this is the whisky where I truly realised what can happen when water is added to the equation - a lesson in itself worth the £43 I spent on the An Oa. Neat the initial nose is quite faint. 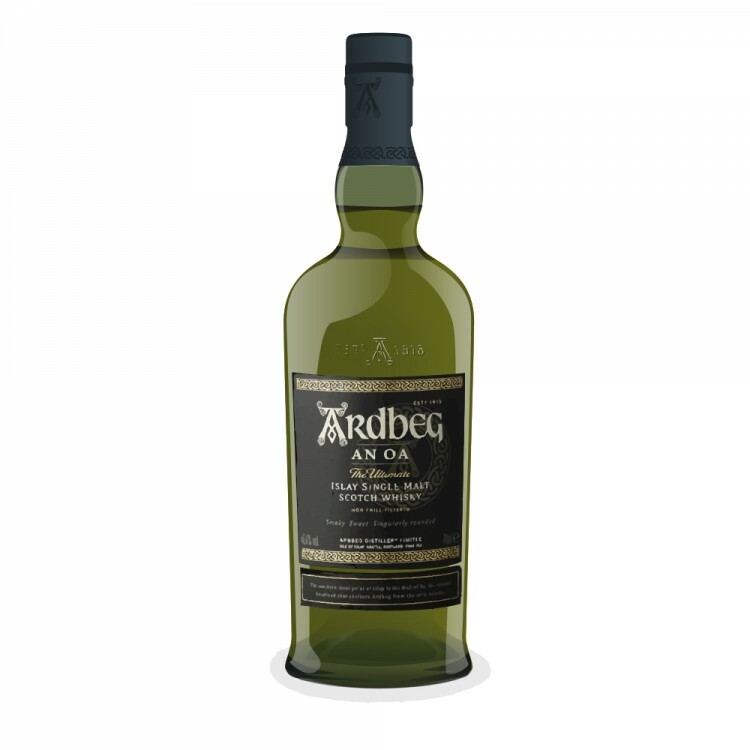 There are the expected Ardbeg elements in there, and some additional sweetness (I believe PX has been involved somewhere). The attack has quite some bite (I'd venture to say more than the stronger Oogie, but I haven't done a h-t-h). It's all there, the smoke and slight iodine-ish notes. The finish is medium and has a wee bitter element to it. Do I like it? Yes... I guess... it's ok... Curiosity satisfied, and I understand why people say "get the Uigeadail instead" (but, please humour me and keep reading). On a whim, I decided to add a few drops of water (which I do not typically do unless very high ABV a la e.g. A'bunadh) and to my surprise..! I shall not get tempted by hyperbole, but the previously uptight and crampingly tensed dram seems to have relaxed and opened up its embrace... All of a sudden a fruitier and much more warm and pronounced sweetness (but not the sickly sugary version) whiffs out of the glass. 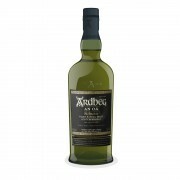 On the palate, I swear that the viscosity has noticeably changed for a thicker mouth-coating and even a little oily dram, with a still medium finish that leaves nothing of the slight astringent bitterness that I am sensitive about. THIS, I'll happily drink on its own merit without a thought wasted on 'how it compares to Uigeadail". Without water... it's a decent 83. With, I'll give it a generous but I think fair 89. Is it all in my head...? Could, be but who cares - I learned something today about the profound impact some chemistry can have, and I now have another bottle I will enjoy a lot. Thank you for your time awarded my meandering thoughts! Ardbeg An Oa "The baker's eating Kippers"
"Of course it is happening inside your head, but why on earth should that mean that it is not real?" 10 months ago 1Who liked this? It's always great to have a decent whisky bloom into a superb on. This can come from the help of water, air, time or simply your palate's development, the reward is always sweeter for it. Your meanderings/musings are welcome, this is the place for it. @MadSingleMalt a truly solipsistic thought for a Friday morning!